The Presbyterian Church in Ireland, Presbytery of derry & Strabane, Congregation of Fahan. 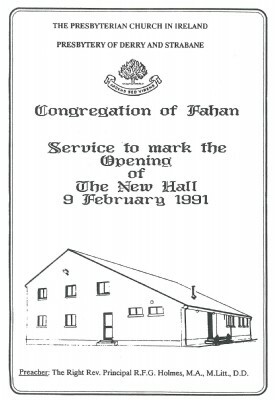 Service to mark the opening of the New hall on 9th February 1991. Preacher: The Right Rev. Principle R.F.G. Holtes, M.A., M.Litt., D.D.